A special highlight of the BERNINA 550 QE is the BERNINA Stitch Regulator (BSR) <>, which ensures highest precision when free-motion sewing. Even when the feed-dog is lowered and the fabric is being manually guided, the sophisticated BSR technology ensures stitches that are always of the exact same length, by recognizing and compensating for differences in sewing speed. 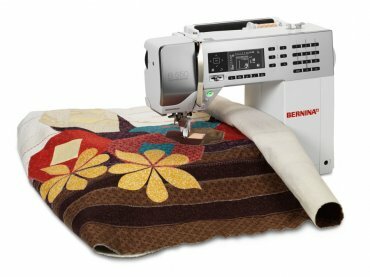 This innovative BERNINA 550 QE function allows even inexperienced free-motion quilters to produce accurate and consistent stitch lengths for a precise stitch pattern – right from the get-go! 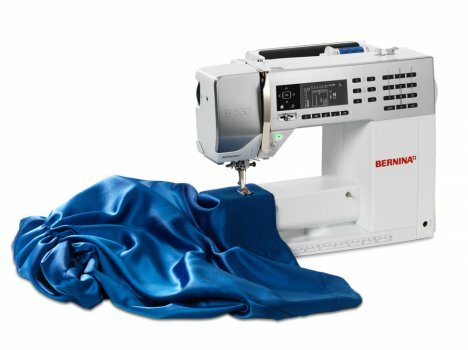 Thanks to its BSR functionality, precise free-motion sewing with the BERNINA 550 QE is a relaxed affair – ideal for sewing and quilting at the highest level.